World champions France and bronze medal winners Belgium are jointly on top of FIFA’s newest ranking list- the first time that two nations have jointly topped the rankings since they were introduced in 1992. There are eight European nations in the top 10- Brazil and Uruguay are the two non European ones. 6 teams in the top 20 (Brazil, Uruguay, Argentina, Chile, Colombia and Mexico) are non European. What is England’s FIFA ranking? 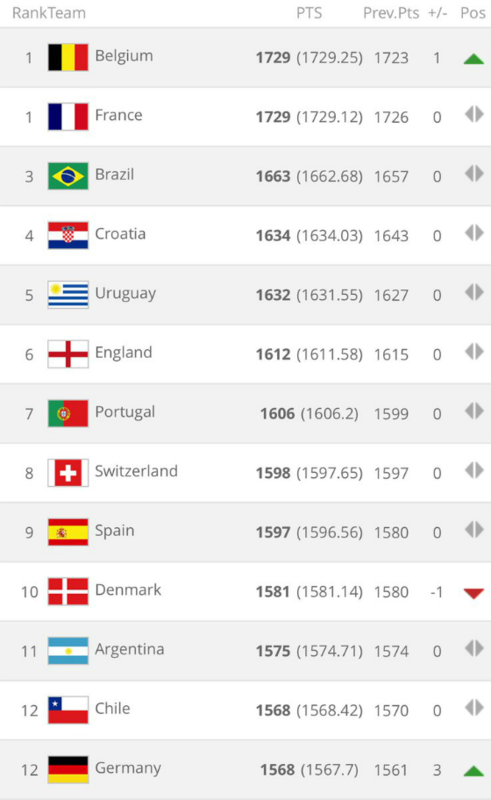 As of the rankings released in September 2018, England are sixth. 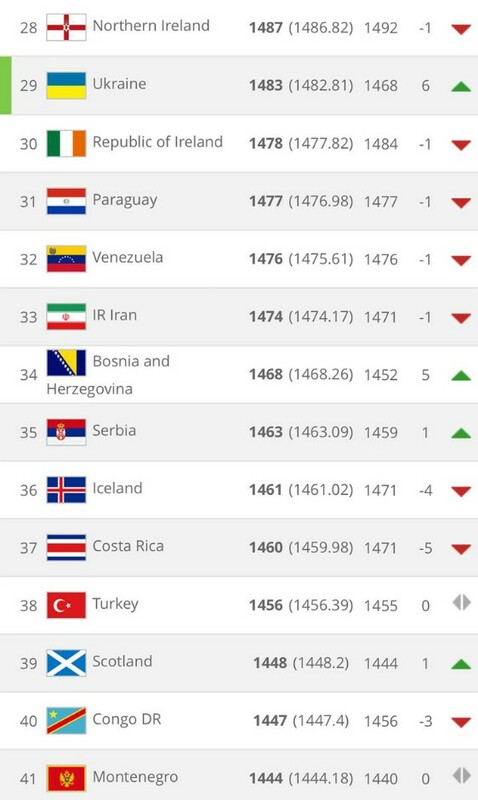 Wales are 19th, while Northern Ireland are 28th and Scotland 39th. Are Germany in the top 10? 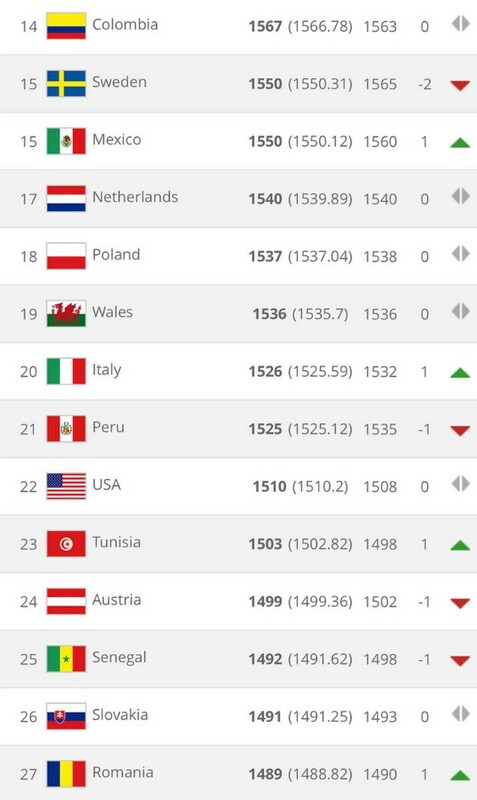 Germany fell to 15th following their disastrous World Cup campaign, but have managed to move three places up to 12th.